Is Bittman’s Latest New York Times Column Right? 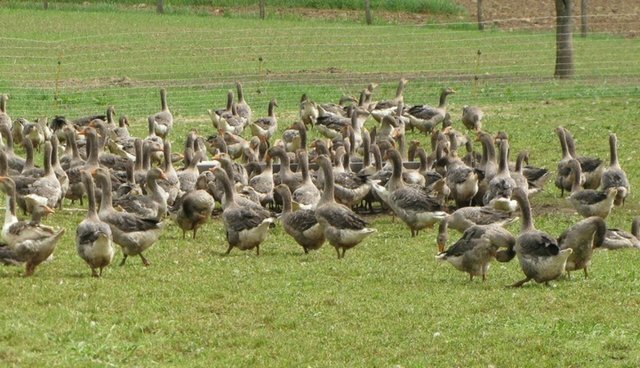 Is Foie Gras Unimportant? Mark Bittman's recent column on California's overturn of the state's foie gras ban is, for lack of a better term, weird. Really weird. The gist is that Bittman thinks we're paying too much attention to the cruelty of foie gras - "the most overrated of luxury ingredients"- while ignoring the reality that the vast majority of animal agriculture is cruel. In and of itself, this claim seems sensible. But it's the way that Bittman makes his case that ultimately turns his column into a (perhaps unintended) defense of foie gras. My first contention has to do with Bittman's main argument. He thinks we miss the big picture of widespread animal cruelty when we focus on the small picture of an exclusive animal product. It makes more sense, he suggests, for consumers to muster outrage against the way cows, pigs, and chickens are treated before getting worked up about something as upper-shelf as foie gras. Why, in other words, should we protest the 600,000 ducks killed every year when more than that many chickens are killed every hour in the United States? "Let's get our priorities straight," he writes. But think a little harder about this point. By Bittman's logic we shouldn't really care about people who engage in dogfighting, beat their dogs, or kill animals for snuff films. Compared to the suffering of billions of chickens, of what significance are these numerically insignificant acts of cruelty? But these numbers miss an important point: Humans aren't computers. We don't consult emotional calculators. We don't regulate our outrage according to a disembodied algorithm of suffering. Instead, we're moved by eye-opening wedge issues that appeal to our visceral sense of right and wrong. Most people who are not psychopaths know there's something obviously wrong with shoving a feeding tube down an animal's throat to inflate its liver like a party balloon. This reality hits us in the gut, too. And that's where we make most of our choices. It is for this reason that foie gras is important. The harsh imagery of production stokes our outrage in a unique way. It makes perfect sense to use that imagery to generate concern about animal cruelty on factory farms, where the prevailing images are often soothingly pastoral. It makes perfect sense, in other words, to use a small but powerful example of an injustice that's hard to whitewash as a microcosmic (if extreme) example of the whole. When Civil Rights leaders highlighted images of southern police officers turning firehoses and attack dogs on African Americans - an injustice that was, comparatively speaking, rare - this precise logic was followed. And for good reason: it worked. Bittman, in an apparent effort to downplay the special cruelty of foie gras, stretches logic to a breaking point by roughly equating the funnel feeding of ducks with the trough feeding of other farm animals. He writes that because cows are typically fed grain rather than their natural diets of grass, "you might say that part of that industry's routine is force-feeding." This comparison borders on the absurd. For lunch today I had a burrito that included vegan cheese. That cheese had undergone an ungodly amount of processing - a lot unnatural crap in there. By Bittman's logic I should wonder: Did I just force feed myself? Last point, one that's more of a consistency issue than a weirdness issue. Bittman lectures those who made a big deal of the overturned foie gras ban for being misguided because, numerically speaking, foie gras is insignificant. But he then insists that readers should consider the fact that ducks don't technically have to be force-fed (he reiterates this with a link to a TED talk). But wait a sec. From what I know about this industry the amount of foie gras produced without force-feeding is mere decimal dust. Virtually nil. Numerically irrelevant. But this numerical insignificance hardly keeps Bittman from reminding readers that foie gras feeding is not necessarily all that cruel. In so doing he deploys the very tactic his entire column warns us against using. "Let Them Eat Foie Gras," reads the headline. Here is exactly what I'm left wondering: let who eat it? Was this column designed to assure wealthy foie gras eaters - and, by extension, anyone who eats any kind of exclusive, small-batch, artisanal crafted animal-based delicacy - that he's off the hook, all the while leaving hoi polloi Big Mac munchers to dangle in shame? If so, it may have succeeded.